“My father was a chiropractor and I’m actually a 3rd generation chiropractor. It’s part of our family history,” says Dr. Nelson. Our philosophy is simple – without change, there is no change. Dr. Nelson attended Northwestern College of Chiropractic in Minneapolis / St Paul. He’s certified in Dry Needling and physical therapy, and is a member of the National Registry of Certified Medical Examiners in addition to his chiropractic license. “We stay busy,” says Dr. Nelson. He owns 5 corporations including Ozark Chiropractic Clinic. His automotive, construction, windshield repair company, and mobile home park are all a part of providing social services and doing the work he’s called to do in helping others. Dr. Nelson does enjoy fishing, golfing, and spending time at his second home in Pass Christian, Mississippi. But his true passion is helping to rebuild community and housing families. 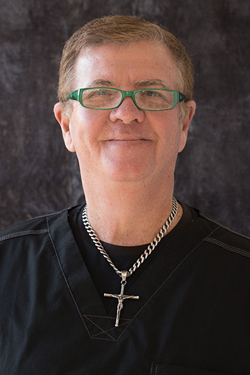 Ask Dr. Nelson about his passion to help others at your next appointment. Call (225) 927-8160 today to schedule.